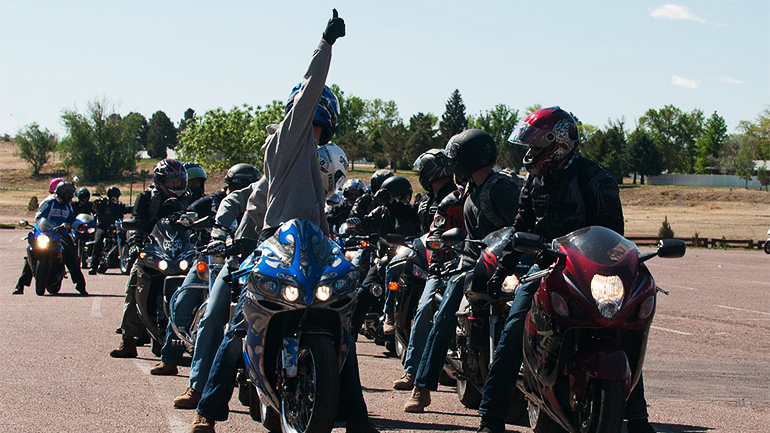 Are You Planning a Group Motorcycle Ride? 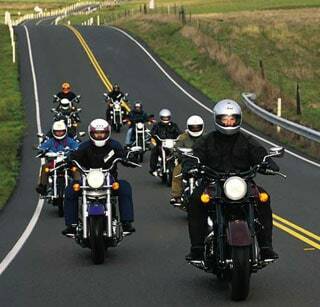 There is nothing like going for a road trip with a group of motorcycling friends. It’s a great time for bonding, sharing and just experiencing the great outdoors with others who feel the same way you do about riding on two wheels. However, even for a short group ride you need to take care of some details long before you start spinning your wheels. Do a thorough pre-ride check before the ride is a must. If you belong to a motorcycle club chances are there is a ride/trip organizer. If you are riding with a number of friends on a casual ride, you still need some kind of organization. The first part of planning ahead is to have a route selected with scheduled stops, alternate routes in case of road detours and a record of who all is participating. The scheduled stops should be spaced apart close enough to allow for fuel, food or bathroom breaks. Sightseeing opportunities should also be factored into the stop schedule. When you put together the list of participants, also collect cell phone numbers in case someone falls behind or has to drop out and needs to let another rider know to tell the group at an upcoming stop. Just like taking the family on vacation in the motor home, you will need to pack for the ride. This means having all the essentials you would typically take with you on any trip including money, all insurance documents, motorcycle license, fuel or credit cards and small snacks and bottles of water unless the ride schedule includes places to stop for food and water. Also pack sunscreen, rain gear (just in case), your camera and before you join the group the morning of the ride ensure your motorcycle is road ready with a full tank and all other maintenance issues handled. The same goes for you. If you are not feeling your best, the best thing to do is drop out of this ride and aim for the next one. This includes being hungover. If you are feeling off colour due to a heavy night on the turps don’t ride. You probably have alcohol running through you veins. If you are distracted in any way due to mental or physical fatigue, you become more of a risk to yourself and other riders. There has to be a ride leader in the group. This does not have to be the ride organizer but on the road someone has to lead the group. Preferably appoint someone who knows where you are going, as well as being an experienced rider. This rider will set the pace for the ride and will be fully aware of the planned schedule of stops and itinerary. This means if someone falls back or is delayed from a stop, someone at the end of the line is aware of this and can watch or wait for that person to catch up or rejoin the group. Make sure you have the mobile phone numbers of at least a few of the participants. All riders in the group will have to pay attention to their position in the group and the space around them. If one rider passes traffic, buffer zones must be in place at all times. This means keeping at least a 2-second buffer between you and the rider or vehicle ahead of you. All riders in the group should maintain a staggered formation and avoid riding side-by-side. In a staggered formation, the leader rides in the right third of the lane, while the next rider stays at least one second behind in the left third of the lane. In many situations, it is safer for the group to ride in single file. The single-file formation is best used when more room to maneuver might be needed such as on narrow or curvy roadways, in poor visibility, at toll booths, entering and leaving highways, on roadways with bad surfaces, when entering a traffic circle or roundabout, or in any other situation where more space cushion is needed. By riding single file, each rider in the group can more freely use the entire lane and choose their own line through a turn. As with riding formations, keeping an adequate space cushion between riders and adjusting it to suit changing needs is important. Larger bikes will require larger buffers and remember to only ride as fast as you are comfortable with. The ride leader will set the pace but you don’t have to feel obligated to keep up if the pace is a little faster than you are comfortable with in a group. If you are a faster rider, do not crowd the bike ahead of you and pass if necessary. Just remember to never pass the ride leader. If you wish to brush up your skills or if you have recently purchased a larger cruiser it is good idea to put some in the saddle riding not group riding. Additional skill training is available. – Discretionary Training Group rides can put pressure on some riders to keep up. This is a mistake. Just ride your own ride and enjoy yourself. I think an important thing to remember is to respect your other members of the ride. The whole idea behind group rides is to enjoy the outdoors and explore things with friends. By participating in one you will meet new people and make new friends. Group rides have several benefits when it comes to riding on the road but in order to experience them to the fullest you need to follow these simple guidelines. They are designed to assist with keeping your ride activities organized and safe. Remember to take responsibility for your own actions. Ridetek has many options for additional training whether you are a returning rider or just wish to brush up on some skills. If an individual or the group wishes to travel at a particular speed it is up to you to make the choice whether it is safe or legal to do so. Don’t blame others for your mistakes. When riding in a group all road regulations still apply including fines for speeding and any other infraction. Be safe and have fun!